Technological advancements have just pushed the boundaries of recoverable oil and gas in the U.S. further, according to an announcement by the U.S. Geological Survey. The agency reported that two formations in the Gulf Coast Basin may contain as much as 304.4 trillion cubic feet of natural gas plus 1.9 billion barrels of natural gas liquids, making the area the largest untapped continuous gas deposit in the country. The two formations—Haynesville and Bossier—also contain some 4 billion barrels of crude, according to mean estimates, the USGS also said in a press release. Most of the newly recoverable gas is in the Haynesville formation, which contains around 195.8 trillion cubic feet. It also holds 900 million barrels of natural gas liquids and some 1.1 billion barrels of oil. The rest is in the Bossier formation. The USGS has been reassessing a lot of oil and gas deposits across the U.S., noting how new exploration and extraction technologies have been “a game-changer” for the industry. Indeed, the last assessment of the Haynesville and Bossier formations was conducted seven years ago, and oil and gas technology has undergone major evolution since then. 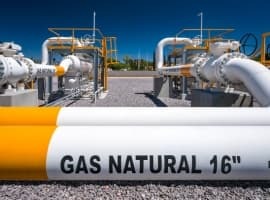 Meanwhile, the EIA said in a recent report that natural gas will surpass coal as the top power generation fuel this summer – some good news on the demand side. Gas, the authority expects, will account for 34 percent of generation fuels, versus 32 percent for coal. As good as this is—the third summer in a row that power plants in the U.S. will use more gas than coal—the summer 2017 estimate is lower than the 36 percent that gas accounted for last summer. The oil reserves contained in the two Gulf Coast Basin formations are also not to be underestimated. The range for Bossier is from 1.2 billion barrels to 5.1 billion barrels, and for Haynesville, the range is between 286 million barrels and 2.5 billion barrels. That’s bound to attract drillers there, potentially adding to worry that maybe, after all, OPEC’s cut extension will have less of an effect on global supply and demand. The worry may deepen as the Geological Survey continues to reassess hydrocarbon basins, in all likelihood adding to the total technically recoverable oil and gas reserves of the U.S. and fueling further increases in output. 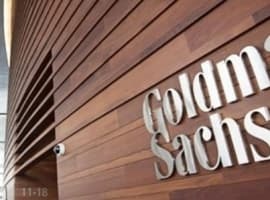 After all, less than a year ago, the USGS announced an upward revision of the oil reserves in the Wolfcamp Basin, part of the Permian, and the play saw a major influx of energy companies and private equity investors, all scrambling for a share of the newly revealed 20 billion barrels of crude. Now, the Permian is the driver of U.S. shale output growth, and it will most likely continue to be so for the rest of the year. It is also likely that the Bossier and Haynesville formations could see some increased drilling activity as well. The USGS reports technically recoverable resources, not reserves. Reserves are tied to oil or gas price; resources refers to what we could recover if it's there. The question begs, how many square feet of total housing have we added to America since the unprofitable natural gas prices? Clearly the storage is manipulated by the government or Fed Reserve, a private company, by flows from Canada to Eastern U.S. The total average new houses built per year is 1.2 million. Assumption would be they use energy but of course all things can and are manipulated, but for those of us who are still in the realm of reality.... Interesting question.